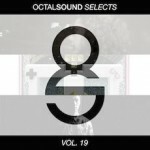 Octal Sound Selects Vol. 19 is a diverse mix of electronic gems. Up first is Lindsay Lowend’s ‘August 2′, a hip hop beat he made in preparation for his trip to L.A. This musical day trip is all about chilling out. Next is ‘I No’ but JIA LIH, a hyped club banger that goes hard relentlessly throughout the track. Turn up levels over 9,000. Finally we have Herzeloyde’s ‘Inn’, labeled with just a <3 symbol and tagged as #laptop. This producer has been on fire for some time now, and always cooks up some interestingly tasty material. Worth a follow for sure. Be sure to tune in next time to Octal Sound Selects to hear the freshest tunes of the week, and as always click HERE to download these songs for free.